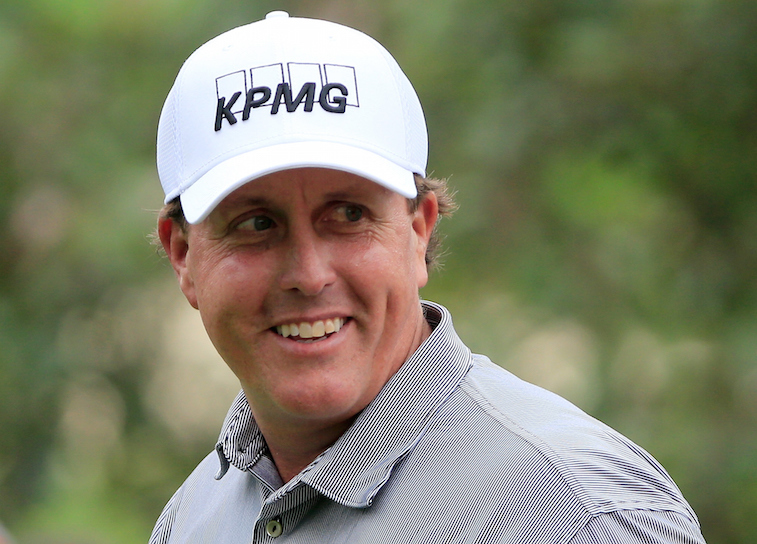 Phil Mickelson is one of the wealthiest professional athletes in the world. When Forbes recently released their annual rankings of the highest-paid athletes in the world, the left-handed professional golfer came in at No. 8 on the list for 2015. His earnings for the year totaled $50.8 million, which landed him a higher spot in Forbes’ rankings than guys like Tiger Woods, Kobe Bryant, Rafael Nadal, and Peyton Manning. For his career Lefty has earned a total of $77 million in PGA Tour prize money — the second-highest total ever trailing only Tiger Woods’ $110 million. In total, when you factor in appearance and endorsement money Mickelson has made more than $600 million over the course of his career. 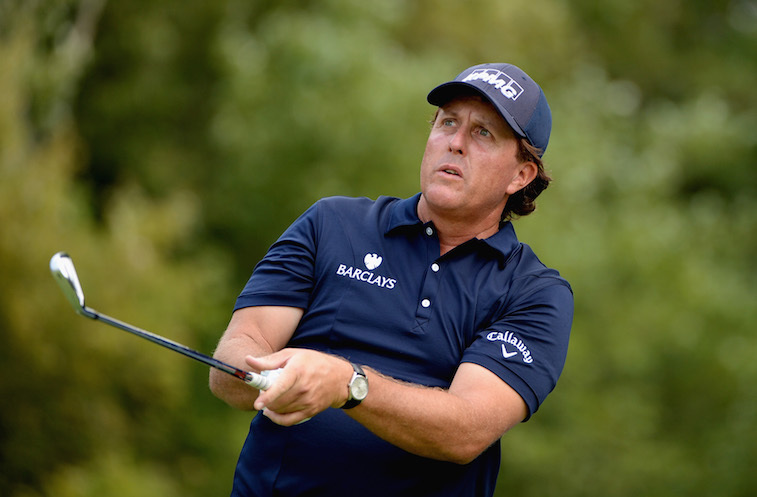 One of the lesser-know facts about Mickelson is that he is an avid gambler. Whether it’s a random bet on the golf course, a Tuesday “money game”, or a five to six figure wager on a sporting event, the three-time Masters champion hasn’t met a bet that he doesn’t like. On Monday afternoon, the scope of Lefty’s gambling activity became public knowledge. It was then that ESPN’s Outside the Lines released a report detailing how $2.75 million of Mickelson’s money was wired to a former sports gambling handicapper named Gregory Silveira for use in an illegal sports gambling operation. Just last week, Silveira pleaded guilty to laundering the $2.75 million in question and admitted that he was fully aware that it was going to be used in an illegal gambling operation. While outrageously wild rumors of his gambling habits have been running rampant for years, this was the first real glimpse into exactly how serious Mickelson’s wagering habit really is. In case you missed it, this actually isn’t the first time the 45-year-old golfer has been linked to a federal investigation. Around this time last year, news broke that Mickelson was under investigation by the F.B.I. for his role in an insider-trading ring. Mickelson has adamantly insisted that he did nothing wrong in the matter, and the results of the investigation – which yielded no charges against any of the individuals involved – would support his claims. Before delving any further into the legalities of the matter, it’s important to point out that Mickelson has not been charged with a crime and is not under federal investigation. As ESPN legal analyst Lester Munson pointed out, “federal gambling laws are directed at gambling enterprises and not at individual bettors.” Although Mickelson may be in the clear, legally speaking, but him being linked to two federal crime investigations in two years could have serious ramifications for the 42-time PGA Tour winner. First and foremost, being linked to two Federal crime rings has the potential to be seriously damning to Mickelson’s public image. He may not be facing any criminal charges, but his mere involvement in more than one high-profile case certainly raises questions about his personal values and ethics. With that comes the very real possibility that his sponsors – past, present, and future – will lose interest in paying Mickelson millions of dollars to endorse their products or appear at events. Only time will tell what effect this latest F.B.I investigation will have on Mickelson’s career, but our best guess is that he’s going to see a decline in endorsement revenue over the next year.